He never thought he’d get a second chance. 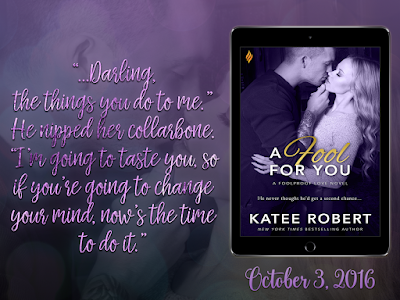 A Fool For You is the third and final novel in the Foolproof Love series from New York Times and USA Today bestselling author, Katee Robert and Entangled Publishing. Her only response was to shove her yoga pants down to her knees. He lifted her onto the counter and disentangled her right leg from the pants so he could spread her fully. 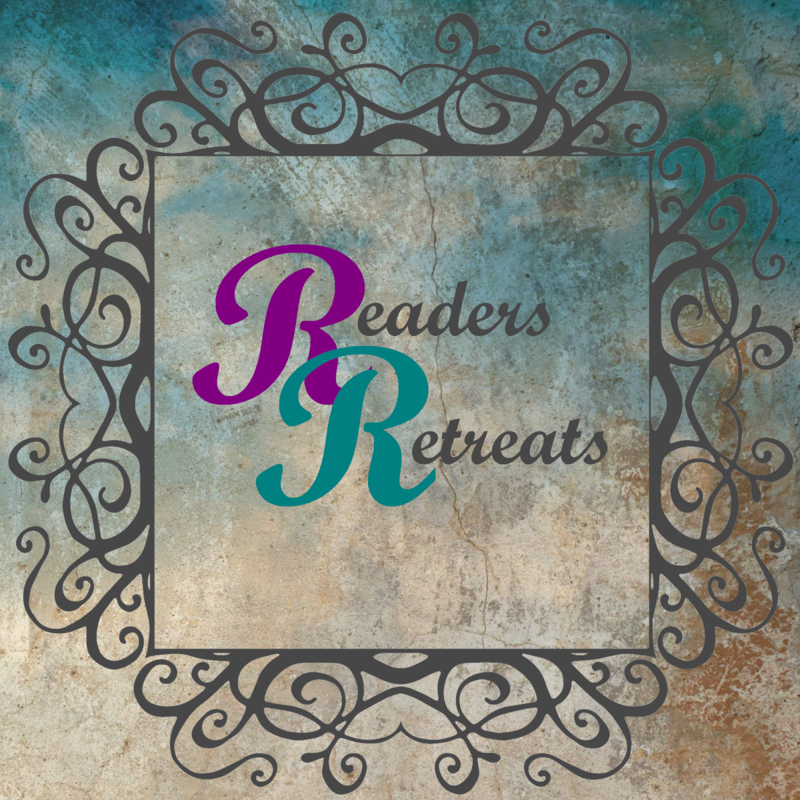 He stroked her thighs, pausing when his fingers met the scar. It brought up so many conflicting feelings in him. It was his fault that she had the damn thing, but that didn’t mean he thought of her as less, the way she seemed to think. She was as beautiful now as she’d been at eighteen, and more confident despite her injury. Or maybe because of it. He had no idea. 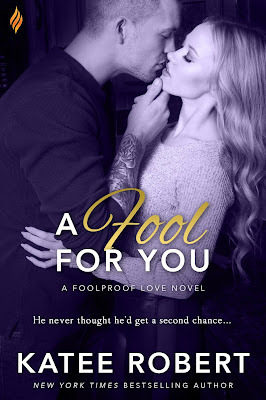 All he knew was that at some point he was going to have to get up close and personal with her healed injury, and he was going to have to tread very, very carefully to avoid burning what was left of the bridge between him and Hope. And then he did what he’d been fantasizing about ever since he walked out of her life. Daniel dipped his head and gave her center one long lick. She tasted better than he remembered, her body already shaking for him, so he used his thumbs to part her folds and licked her again, reacquainting himself with every inch of her. Hope wasted no time obeying, dragging the material over her head and tossing it away. And then there was nothing hiding her body from his gaze. He licked her again, savoring the way she shook. A tattoo curling around the bottom of her ribs caught his eye, but he was too distracted to read it.